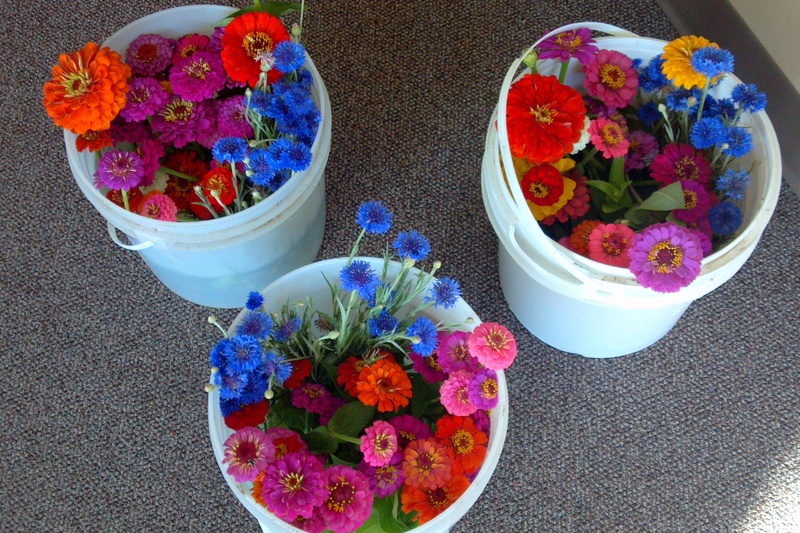 I received a call earlier this week asking if I could provide some flowers for a wedding rehearsal dinner this week. 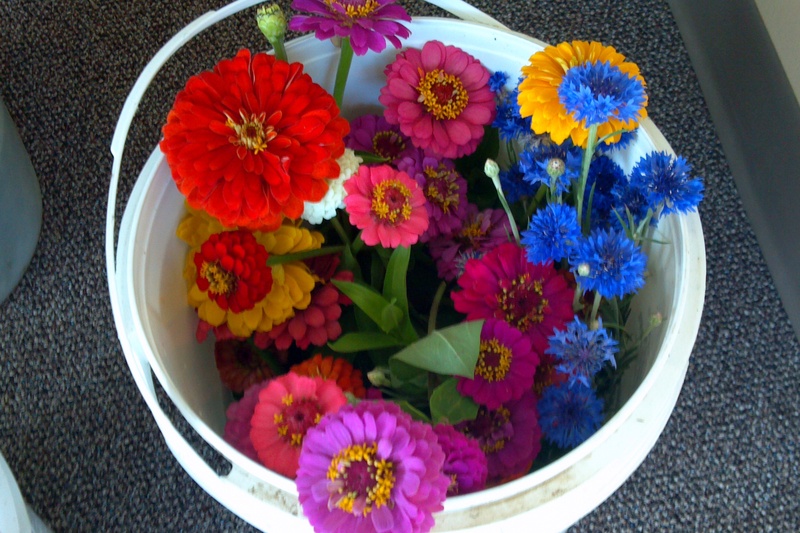 Cut zinnias and bachelor’s buttons this morning to send up to Derby for the event. 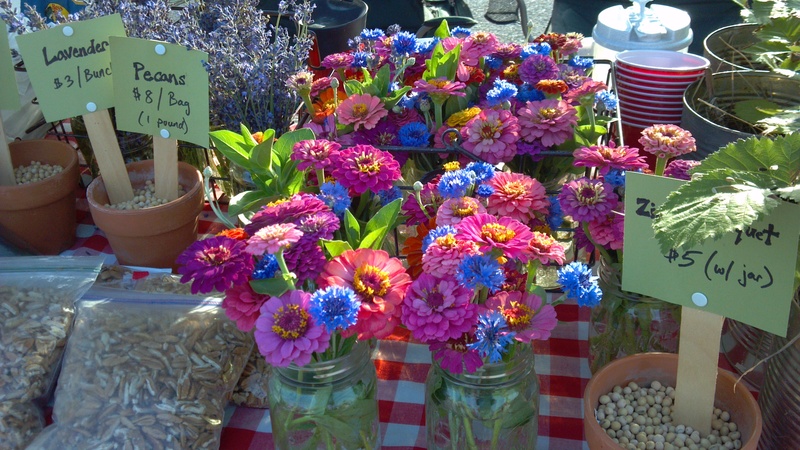 I got the call after selling these mini-bouquets at farmers market last weekend. They were very popular! I will have more at market tomorrow. 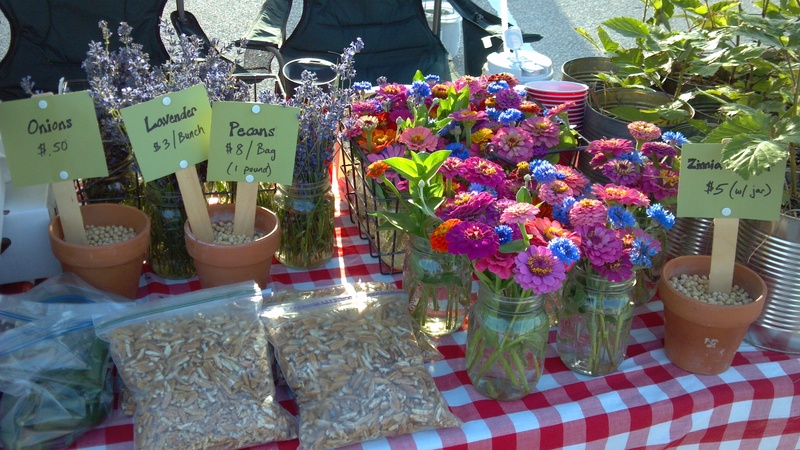 Hopefully we will have a few Sunflower bouquets, as well. I just LOVE the flowers!